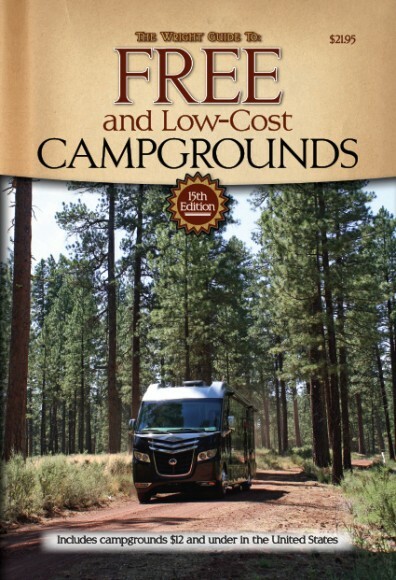 My absolute favorite ‘go to’ resource book when we are traveling is The (Don) Wright to “Free and Low-Cost Campgrounds: Includes Campgrounds $12 and Under in the United States”. It has a permanent place between Jimmy and me in the front seat of the truck. 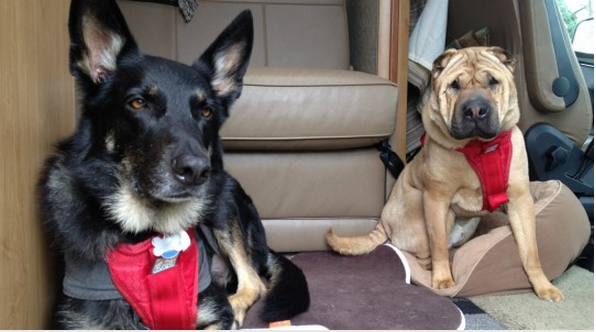 My dog-eared guidebook lists almost 12,000 US campgrounds with overnight camping fees of $12 or less, including thousands that are free. This book has saved us thousands of dollars and has lead us to many very interesting and beautiful public lands campgrounds. Cost of this book retails at $21.95, and is cheaper at many online outlets. Paperback: 520 pages, Cottage Publications; 15 edition (2014). It is offered in an e-book format as well as in paperback. 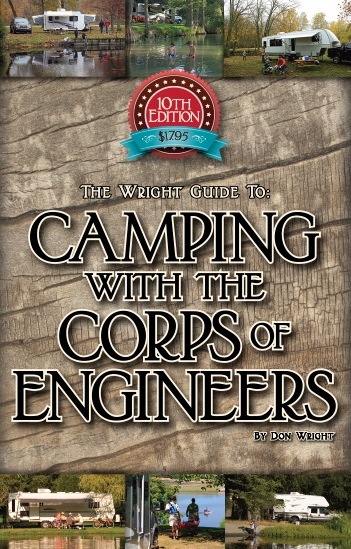 For 20 years, “Camping With the Corps of Engineers” has been the Wright Guide’s “best-selling national guidebook,” according to publisher Wright. It contains “details of more than 900 campgrounds” owned and operated by the U.S. Army Corps of Engineers. They are listed alphabetically by state, complete with maps showing locations. 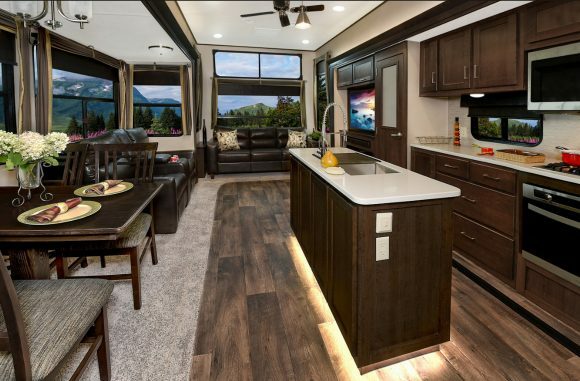 Directions to each campground is provided, along with complete descriptions of facilities, amenities, camping fees, recreational activities available and GPS coordinates. The Corps of Engineers is one of the nation’s largest providers of outdoor recreational facilities, operating more than 2,500 recreation areas at 463 projects (mostly lakes) throughout the United States. Cost of this Cottage Publications 10 edition (2015) retails at $17.95, and may be found cheaper at many online outlets. 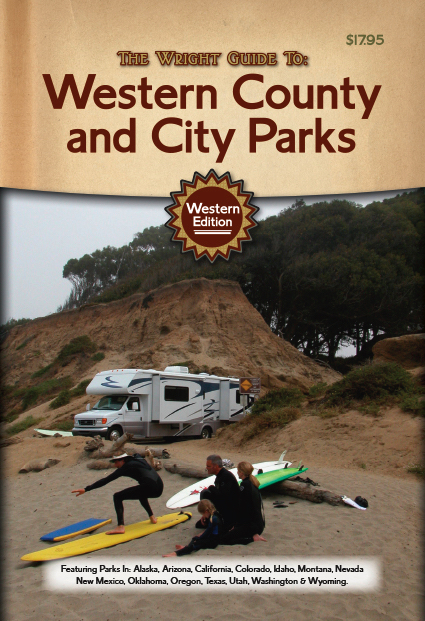 “Western County and City Parks” is a one-of-a-kind campground guide that focuses entirely on county and city parks in the 14 Western states where overnight camping is offered. Aimed specifically at America’s RV-travelers, but is filled with hundreds of beautiful public parks that also appeal to tent campers, “this is a book that has been needed by active campers for many years but has never before been available to them,” says Wright. 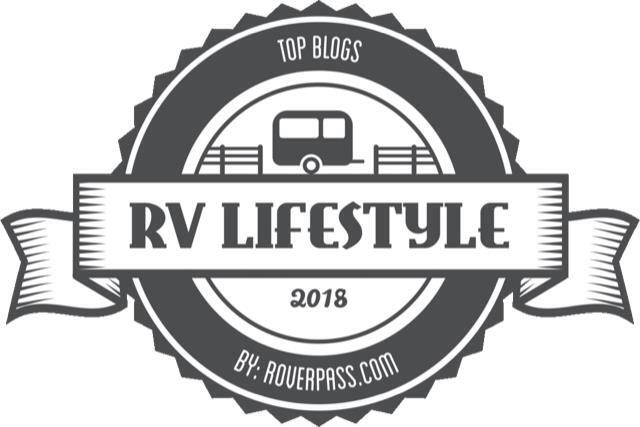 It is the first in of three regional volumes, and provides detailed camping information about city and county parks in Alaska, Arizona, California, Colorado, Idaho, Montana, Nevada, New Mexico, Oklahoma, Oregon, Texas, Utah, Washington and Wyoming. Cost of this Cottage Publications (2015) book retails at $17.95, and may be found cheaper at many online outlets. 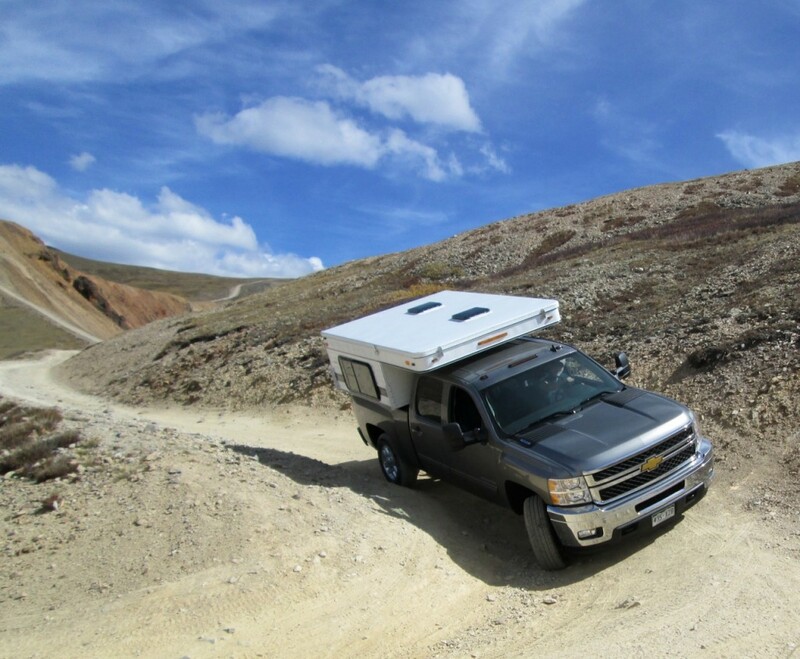 Don Wright is the author of 22 books about camping and recreational vehicles. For more information: 1-800-272-5518.